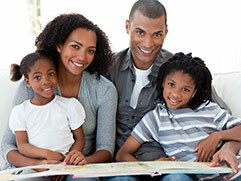 Oglethorpe Family Dental LLC provides professional dental services in Hinesville and beyond to patients of all ages. Dr. Roberts, Dr. Johnson, and their staff combine their knowledge and skills with a personable approach to provide patients with the best quality care in a comfortable atmosphere. It is suggested that patients should be seen for a dental cleaning and routine exam every 6 months or as recommended by your dentist. During the cleaning, plaque and calculus will be removed from your teeth, leaving behind a bright and polished smile. X-rays may need to be taken to help detect possible cavities in between teeth that cannot be seen by the naked eye. Children of all ages are welcome at our practice! A child’s should start going to the dentist at 18 months old. A good rule of thumb is as soon as the first tooth erupts, bring them in. That way, your child can have a positive first experience at a young age and the parent can get valuable advice in helping care for their child’s teeth. Though your mouth may feel healthy and you may not have any symptoms, periodontal disease can progress without a patient knowing. If left untreated, periodontal disease can destroy the supporting bones in your mouth. This is why early treatment and prevention is so important! Your dentist will make sure you are receiving the highest quality of care that will assist in preventing periodontal disease from developing. At-home whitening is an easy and effective way to make your teeth and smile brighter. After an impression, you are given a custom-molded tray that fits your mouth only. You place the bleaching agent at home and in two to three weeks, your smile is brighter! The procedure usually requires two visits to our office to complete. When your veneers are in place, you can enjoy a radiant new smile. Contact us today for more information on how porcelain veneers and cosmetic dentistry can benefit you. Bridges can be utilized when tooth loss occurs due to gum disease, decay, or injury. The loss of the tooth can create greater problems for your dental health if it is not corrected. The teeth next to the missing tooth (or teeth) can begin to move and result in pain, discomfort, and can look unsightly. With bridges, our doctors will close any gaps in your mouth. The bridge looks and acts just like natural teeth, is permanently cemented, and helps to maintain the position of the rest of your teeth. For those patients looking to improve the stability of an existing denture, consider connecting your denture to dental implants. 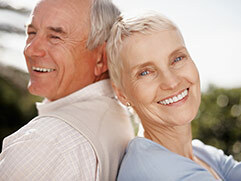 Dental implants are a great alternative to traditional bridgework and dentures. They are safe and look and feel just like natural teeth. Implants are permanently anchored into the patient's jawbone and no preparation of adjacent teeth is required. It is important to replace missing teeth, because if left with spaces, your teeth can shift and cause a variety of other dental and medical problems. Our office has extensive experience in treatment planning and designing implant solutions that are custom tailored for each individual patient. Implants do require several visits and take months to complete. Dental emergencies can be very frightening and often painful. 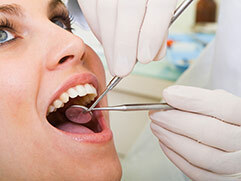 Prompt treatment is generally required to alleviate pain and ensure the patient's oral and overall health. If you're dealing with a dental emergency, call us immediately at 912-877-3070 and we will schedule you in as soon as possible.